Deckorators® functional and versatile graspable ADA-compliant handrail components are ideal for meeting special building codes. 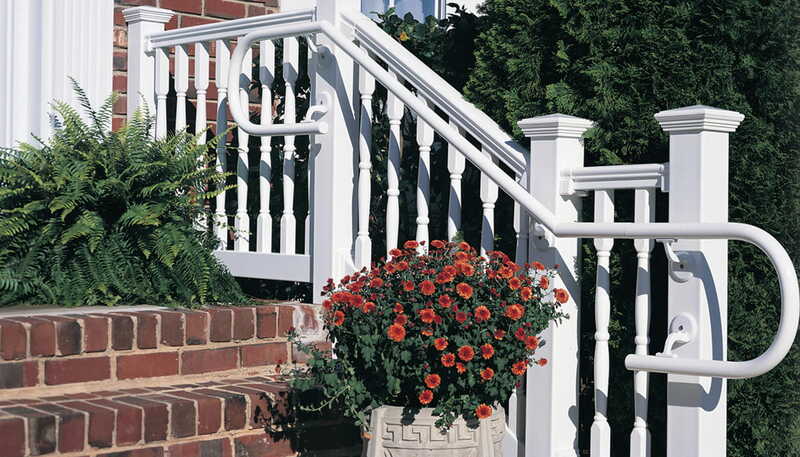 Made of heavy-gauge aluminum and durable PVC, the 90-degree outside corner handrail component is available in black and white to complement popular siding and trim products used in new home and building construction. Whether you're constructing a residential composite deck or a deck made of lumber, you're typically required to install a graspable handrail on one side of the deck's stair railing when there are four or more stair risers present. 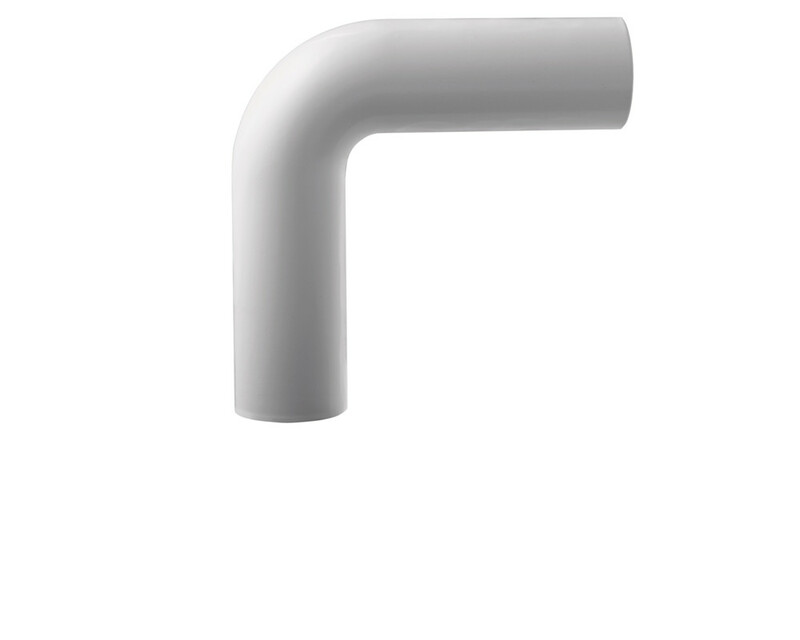 Unsure on whether you need to install a graspable secondary handrail? Read our informative blog post on this topic. When do you need to install an ADA-compliant handrail on a residential deck? 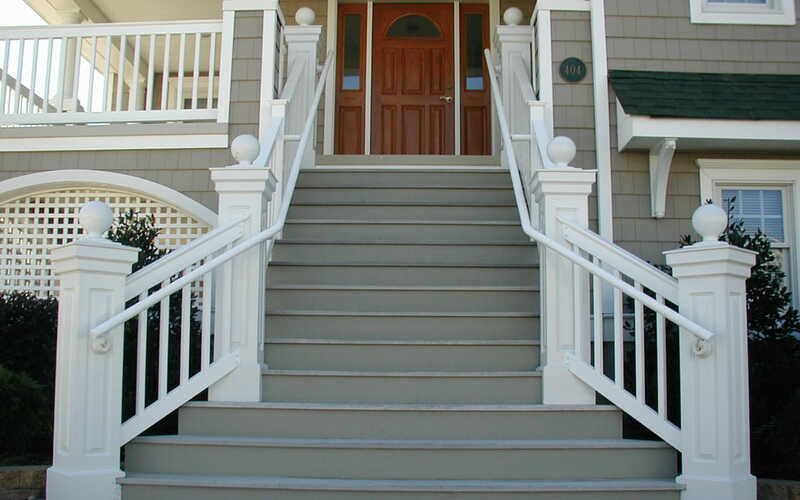 A graspable, ADA-compliant handrail is an important component to consider when planning a deck with stairs. So whether you're constructing a residential composite deck, lumber deck or a deck made from other decking material, you're typically required to install a graspable handrail on one side of the deck's stair railing when there are four or more stair risers present. How do varying weather conditions affect Deckorators railing during install? Deckorators performs well in varying weather conditions. During installation, it will contract only slightly in cold weather. In hot weather it expands. We recommend that the material is on the job site 48 hours prior to installation to acclimate. Follow the installation instructions spacing guidelines to ensure proper room for expansion and contraction.